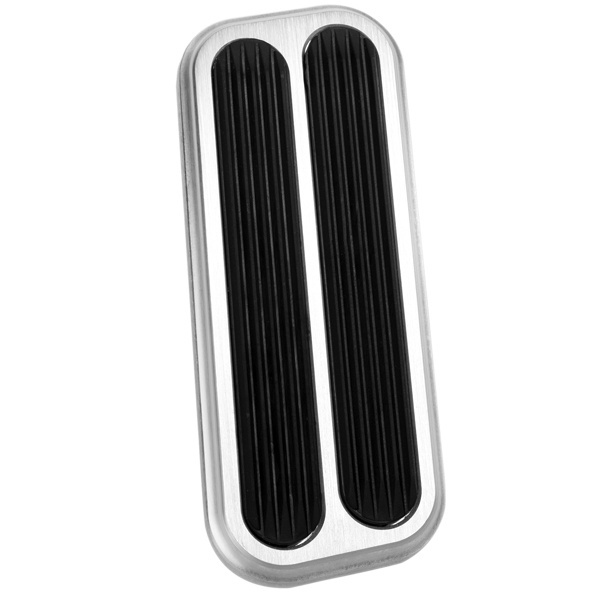 Great looking Billet Aluminum Throttle Gas Pedal with Rubber Grips. This new pedal pad looks great and has a nice comfortable grip with the embedded rubber grips inside the billet aluminum design. Includes mounting hardware. Fits 1966 to 1977 Ford Broncos & 1965 to 1966 Ford Trucks.